JOLLIBEE VIGAN HAS BEEN AN ICONIC BRANCH OF THAT POPULAR FASTFOOD CHAIN. ONE NIGHT, ON OCTOBER 27, 2013, DURING THE TWILIGHT FESTIVAL, THIS STORE HAS BEEN FLOCKED BY PEOPLE. 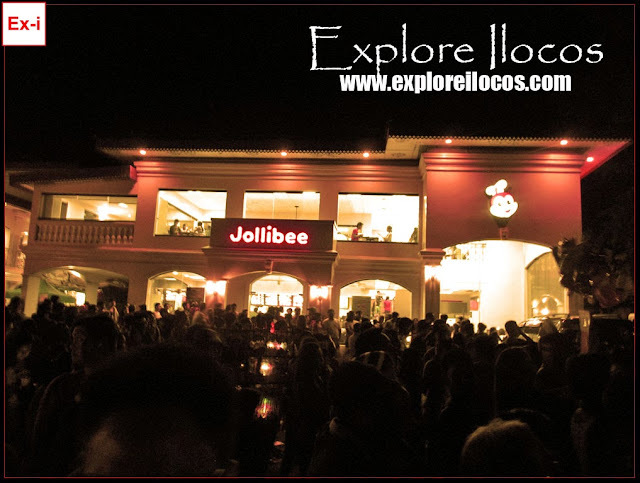 THE THICK CROWD IN FRONT OF JOLLIBEE VIGAN ARE SPECTATORS FOR THE VIGAN RANIAG TWILIGHT FESTIVAL. SO I TOOK A PHOTO OF THIS BECAUSE THIS IS NOT AN EVERYDAY NIGHT-TIME SCENARIO HERE.